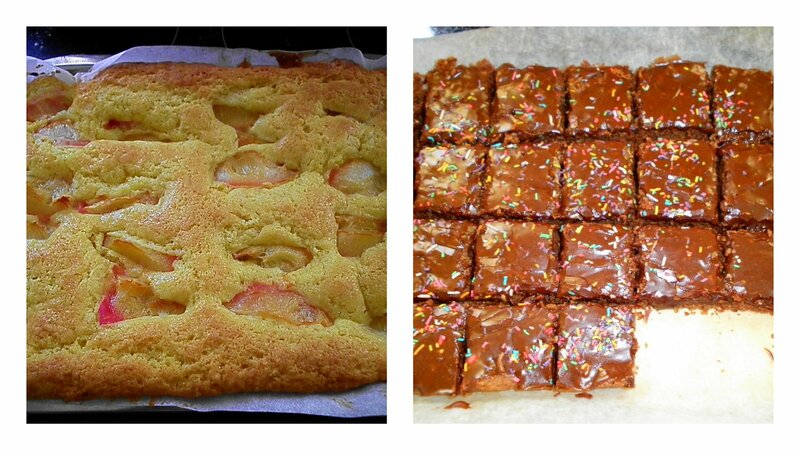 Baking day yesterday. Chocolate slice for the lunchboxes (note the couple of pieces missing in the photo - I just HAD to test it of course ;) ) Plum cake from Annabel Langbein for the grown-ups. Very yummy! What to to bake tommorrow afternoon?